Missing Link, gold tone letter initial O, acrylic faceted black beads, stars and a bell, on a gold plated chain necklace. 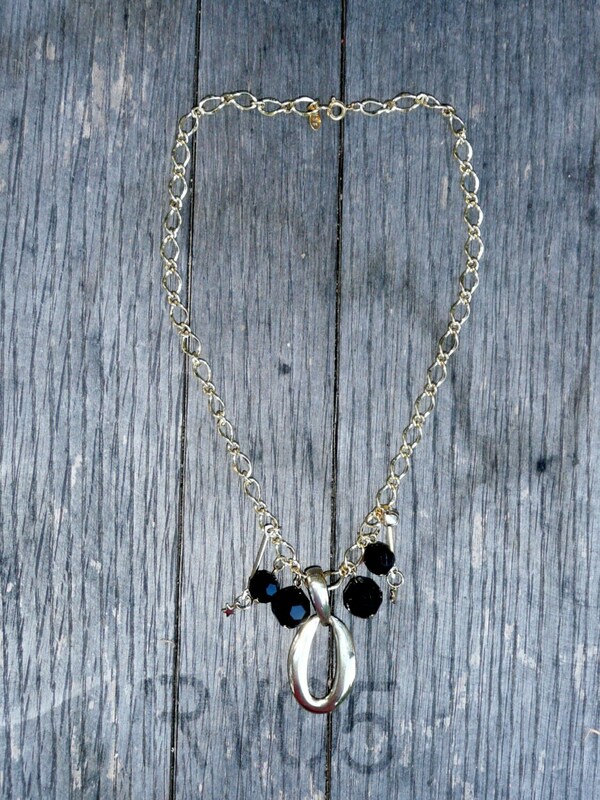 Missing Link, gold tone letter initial "O", acrylic faceted black beads, stars and a bell, on a gold plated chain necklace. Cute and delicate necklace in gold tones, featuring an array of charms including a letter O, a bell, some stars, and a few acrylic faceted black beads. This unique piece is a simple yet elegant and inexpensive necklace that will make the perfect complement to any matching outfit.